You're as brilliant as the things you want to do! Or, as obtuse as the things you don't want to do! I have been a Christian for more than fifty years. I grew up in the house hold of a preacher and when I was nine years old I transferred my trust to Jesus at Emmanuel Baptist church in Lake Charles Louisiana (on or near Resurrection Sunday). I was baptized (immersed) a week later. Since then I have not always walked with the Lord but I have always known that He had called me to walk with Him and follow Him. I began to study God’s Word in earnest when I was in my thirties and since that time I have come to understand just how far America has departed from God’s Word. Recently, the Supreme Court of the United States upheld a ruling by a lower court striking down the States right to define the nature of marriage as being between one man and one woman. States voted on these laws to protect themselves from the tyranny of a federal government that has begun to cater to and promote atheistic beliefs that are contrary to the teaching of God’s Word. The people of these states wanted to take action to protect themselves from the very things that are now resulting because of the Supreme Court ruling. People are now finding that their belief in God and their trust in God’s Word is beginning to result in persecution by the very “state” that is supposed to protect their religious freedom and the practice thereof. Who is the the Swampfox. Me of course! Swampfox shrimp creole is one my favorite dishes. I particularly love this dish on a cold day but, hey, it’s good any time. In my case I love to add a little extra black pepper to get some extra “pungent” heat. The recipe works best with fresh shrimp and fresh cayenne pepper but if you don’t have the real deal you may substitute jalapeno or use a milder pepper like poblano. Serve the creole over brown (my favorite) or white rice. The key is letting the dish simmer for a while before adding the final ingredients. The green onions are as much for looks as flavor and they add a colorful contrast to the dish. Parties-Shmarties – Get Me Some Tea! As the current political season begins to unfold and the first republican debate is at our backs. The establishment pundits are incredulous, mostly with fear, because the comfort of their corrupt system is under threat. Their partisan potentates have fallen to the bottom of the list. Their crony candidates have been summarily rejected. The most staggering thing of all is they do not comprehend the degree to which they have been rejected. The 2014 election was marked by some very interesting things. Joni Ernst snuck up on the establishment and took the Iowa senate seat. But she was not supposed to win. The republicans didn’t have a chance against the Democrat Tom Harkin. No attention was given to this race. But there was another race where the establishment GOP became actively involved. Mississippi! Their crony incumbent, Thad Cochran, was in big trouble. Mississippi senator Chris McDaniel was about to trounce the old GOP hack. The establishment, under the leadership of Mitch McConnell, could not let that happen. Look at the lengths to which the GOP went to insure that senate candidate Chris McDaniel did not win the primary. Thad Cochran was about to go down in flames. The establishment GOP rallied in support raising over a million dollars the last week of the campaign. But the fight was futile, Cochran was going to be crushed in a landslide. The conservative people of Mississippi were going to send the old GOP establishment crony packing. 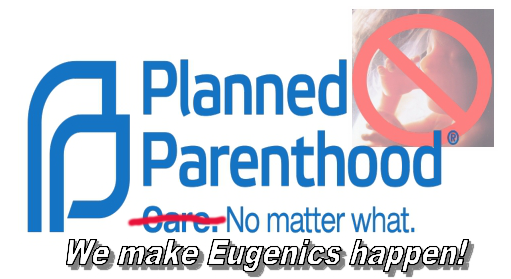 Will the Real Planned Parenthood Please Stand Up? Recently, I heard a brief talk by Dr. Benjamin Carson that caused me to sit up straight in my chair. I really could not believe my ears so I replayed the video several times to make sure I hear Dr. Carson correctly. I immediately began to do what he said and read up for myself on the issue. I was struck, in particular, by two things Dr. Carson mentioned. The two things really go hand-in-hand. Hitler was heavily into eugenics using the concept to create an Aryan super race. But did you know there was, and apparently still is, a movement in the United States to eliminate those who would burden society? This movement is nothing new. Plato suggested the idea of selective mating to produce a “guardian class”. It was the year 1974. President Richard Milhouse Nixon was swirling in the sinkhole of the Watergate scandal. Jerry Zeifman, the general counsel and chief of staff of the House Judiciary Committee, was struggling with not only the Watergate scandal but a member of the staff hired to work on the case. This young lawyer, age 27 at the time, was recommended by law professor Burke Marshall. But Zeifman had a problem with a staff member who submitted a brief that, as he put it, “was so fraudulent and ridiculous, she would have been disbarred if she had submitted it to a judge.” That young lawyer, Hillary Rodham Clinton (Dan Calabrese finds confirmation of Clinton’s fraud as Watergate attorney). The purpose of this post is to document how to set up an SSTP PureVPN dedicated IP connection on Ubuntu 14.04 (Trusty) using the desktop. First follow the instruction on “http://support.purevpn.com/sstp-configuration-guide-for-ubuntu” to install and set up the initial SSTP VPN connection. When you connect using a normal gateway this will work just fine. However, if you have a dedicated IP gateway there is another step you must add in order for the SSTP VPN to connect. You must add credentials to /etc/ppp/chap-secrets for the dedicated connection. If you receive that message simply follow the instructions below. Once this information has been entered the server needs to be restarted. The simplest way is to just “Reboot” the server. In “Section 6” we looked at distractions that slowly creep in to replace love and compassion with head-knowledge and Godly motivation with that of man-centered traditions. In the final section, The Fatal Distraction-Section 7, we will look at how we can be victorious over the things that distract believers from fulfilling the “Great Commission” that Jesus as He departed to be with the Father. The command that Jesus gave us as believers is the difference between “heaven and hell” for those who have not heard the gospel. The focus for believers must be that of Holy Spirit empowered declaration in a world that is perishing as opposed to introverted pontification in religious machination as a rebellion against the world around us! As we walk out our life in Christ Jesus we must never forget that God desires “Compassion not sacrifice”. God’s Word tells us in Hosea 6:6 “For I desired mercy, and not sacrifice; and the knowledge of God more than burnt offerings.” and in 1 Samuel 15:22 “To obey is better than sacrifice, and to heed is better than the fat of rams.” The fact that God demonstrated His steadfast and merciful love for us, as we were dead in our sin but made alive through Christ Jesus, He also wants us to demonstrate that steadfast love and mercy to those who are perishing. Warm and welcoming to everyone she meets, always displaying love an kindness. Organic in the way she approaches life, blessing everyone with whom she comes in contact. Noble in the way she managers her life, her household and all that she sets her hand to do. Delicate as a flower in the spring or a snowflake in the winter but her strength of character is a bulwark for us all. Elegant and graceful never acting inappropriately but always with charm and courtliness. Refined and intelligent always choosing her words carefully and managing her thoughts with dignity and godliness. Fascinating and awe inspiring causing everyone to take note though unassuming in all that she does. Understanding and always willing to forgive and forget. Loving and kind, never audacious but always caring more for others than for herself. Are You the Coming One?